If you want to truly experience the culture of a new city, it is vital to go where the locals go. In Florentin, one of the most popular and hip places to visit in Israel, there are many options available. You can browse foodstuffs at a unique market, drink coffee at a hipster cafe, and outdoor street artwork. 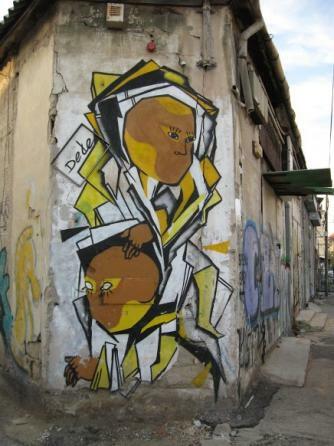 In this article, we are going to discuss places that the locals of Florentin know and frequent. You’ll hear about Levinsky Market, street art, and late night cafes. As the saying goes, “when in Rome, do as the Romans do.” This means that if you want a real and authentic experience of the local culture, then you must go to the places they go to and do the activities they perform. Without further ado, let’s get into it. Florentine, which is located in the South of Tel-Aviv, is the place to go for specialty shopping. When it comes to food, a must visit is the Levinsky Market. Here you will find a range of local herbs, spices, vegetables, and all sorts of prepared foods consisting of local recipes. Often missed by the average tourist, the Levinsky Market is not only a fun way to experience local life, it is also a way to get a fantastic meal. In fact, we like the Levinsky Market so much, that we wrote an entire article dedicated to it. One of the unique aspects of the Florentine neighborhood’s lifestyle is a nightly gathering at cafes across the city. When the day’s work is done, residents freshen up and head out to local watering holes to socialize. Our favorite Florentin cafe is Bugsy. Located in prime real estate (which the menu prices do reflect), Bugsy is an upper scale cafe operating until the early morning hours. Locals head to Bugsy in droves to experience the authentic kosher food. Liver and onions is a staple recipe in Israel and no one does it better than they do. Although graffiti and other street inspired art styles have largely moved into legal indoor spaces (of which many are available in the Florentine Neighborhood), raw street artists still exist. In rustic parts of the traditional architecture, dilapidated buildings are brought back to life through the vision of the artist. Some consider graffiti a nuisance, we find it to be an asset. They say that one man’s trash is another man’s treasure. Graffiti in Florentine is an artist’s attempt to capture an essence or something of the like that was lost through urban decay. Take a look at this for example. What was once an old, falling apart, ugly building, is now a canvas for something special. Florentine is the result of a traditional landscape infused with new life. 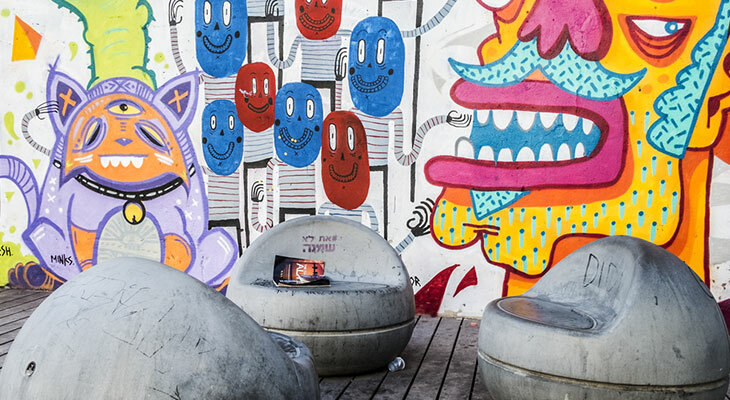 Dubbed the ‘city that never sleeps’, Tel-Aviv has something for everyone. And so, when you visit, make sure to be a roman, or in this case, an Israeli!